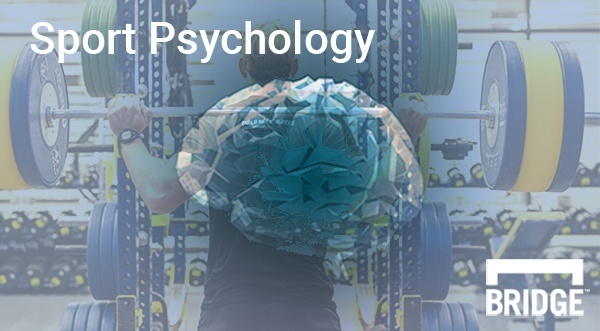 This month’s edition of Sport Psychology is for coaches and individual athletes who want to plan for success and set long-term goals with short-term objectives. In preparation for a season or a tournament, it’s important to set goals that provide a target toward which you can direct all of your effort and attention. Once you have clearly defined goals that are specific, measurable, adjustable/attainable, realistic, and timed, you should organize them in a structure. The goal setting structure allows you to break down your longer-term goals that have a greater outcome associated with them into shorter-term objectives. Your objectives help you take action by taking the first step along your performance journey. Here is an example of a coach's goal setting structure. Ultimate Goal: To win the championship at the end of the season. -Finish the season with an undefeated record. -Earn the MVP of the season as voted on by the league coaches. -Have the fastest counter-attacking team in the league by mid-season (or other sport-specific outcome). -Increase the amount of high percentage shots taken from last season (40%) to 60% this season in regular offensive situations. -Increase the average speed on the team by 2 seconds by the middle of the season o Improve the morale and confidence of the team pre-season by helping them create team mission statements, values, and goals. -In pre-season, schedule 15-minute one-on-ones with each athlete to help them develop their own understanding of their role, pre-game energy levels, and goal plans. -Every practice, take the first five minutes to explain the practice plan in detail to the athletes and check for understanding of the purpose behind the drills. -During 4 practices spaced throughout the season, lead the team in a sprint test and track time improvement for each individual as well as for the team average. -On game days, lead the team through a pre-game routine that includes a mental, physical, technical, & tactical warm-up component specific to each athlete’s unique needs and the scouting report of the opponent. -During games, practice diaphragmatic concentration breathing to control stress and give yourself the best chance to operate with clarity of mind. As you may be able to tell from this hypothetical example, the process and objective goals are much more actionable and able to control. It would be important to remind the team of the outcome and ultimate goals at times during the season but focus on the process goals daily. In games, the process goals need to be organized into a game plan. Sticking to the game plan is the same as sticking to the process. If you execute the process and stick with it through mistakes, challenge, and adversity, then you will achieve the larger results that you ultimately want. The goal setting structure and process to creating it can be painful when getting started. However, you learn to respect the process as you move through it. As you see small successful results, you will start to believe in the process. It’s important to understand that these steps are all a part of the journey toward success.